HURRY - THERE ARE VERY LIMITED TICKETS LEFT FOR THIS EVENT - BUY TICKETS NOW! See you & your friends there! Be sure to "Like" & "Share" above to help spread the word!! Includes the Adult Buffet and Cash Bar. Please see below for what's included. Includes the Children's Buffet and Cash Bar. Please see below for what's included. 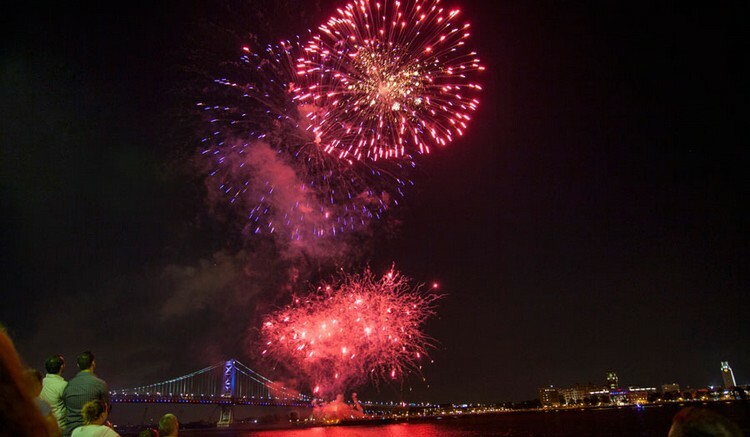 PLEASE ALSO CONSIDER THE PHILLY WATERFRONT FIREWORKS BASH - CLICK HERE for event details & tickets. 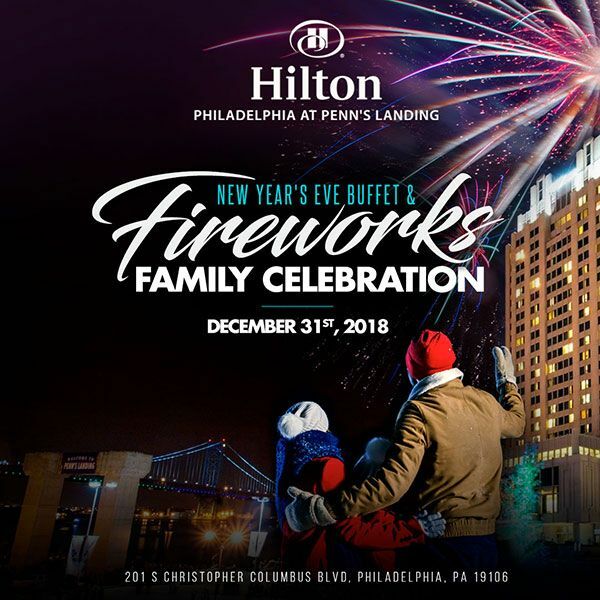 Join us on New Year's Eve at The Hilton Philadelphia at Penn's Landing for a family fun celebration from 4-6pm in the beautiful 2nd floor ballroom. Bring your kids for various buffet options, delicious desserts, games and activities including a face painter and balloon artist, party favors, and an incredible fireworks display at 6pm over the Delaware River. -Children 2 and under are complimentary and do not need a ticket. To book discounted hotel room in our room block, please CLICK HERE or call the hotel at 215-521-6551 and mention group code "NYEHB". -$18 Self-Parking and $29 Valet Parking Available from 3:00 p.m. – 7:00 p.m. THIS IS YOUR INCREDIBLE VIEW!! !